People really don’t want the equivalent of a computer in their pockets. No one needs to get that kind of work done on their smartphone. Even with the larger screens of recent phones, it is still impractical to do a lot of the work that can be done on laptops, no matter the processor in the smartphone. For example, Motorola released a phone while back called the Atrix that was essentially a computer. I haven’t heard of the phone since. And even though the sales of laptops and computers are declining, they aren’t going to be replaced by smartphones. Instead they will be replaced by the emerging tablet market. In the middle of ‘iPhone or Android’ debates, you’ll hear a lot of numbers about processing power, storage, and other specs. A lot of the numbers thrown around are really insignificant unless paired with something else. Having the fastest processor of any phone doesn’t help the consumer out much if the software being run on the phone isn’t up to scratch. In the same way, a powerful graphics processor is only as good as the apps and games that are available. Even things like 4G are largely dependent on the network you are on rather than the phone itself. A lot of things that people use to justify one phone being better than the other have nothing to do with specs. Instead it has to do with their personal situation. 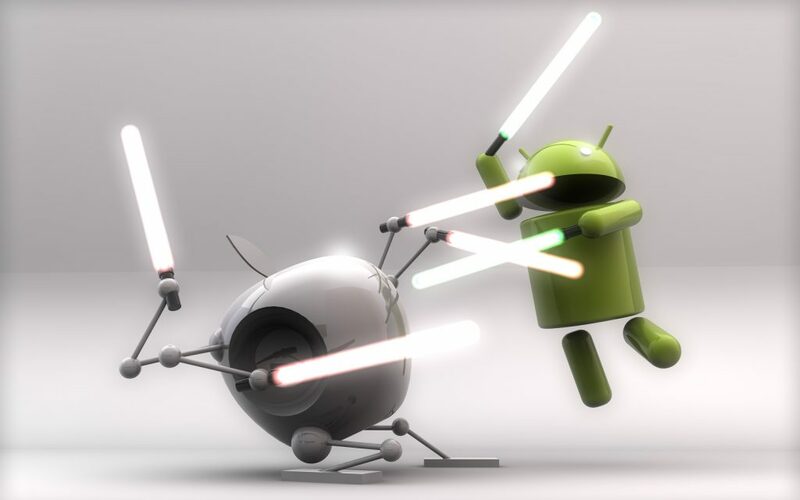 A person may think Android is better because it is much more customizable than an iPhone. Likewise a person could give iPhone the edge simply because their friends also have the iPhone and they want to make use of free iMessage. It could even come down to cost for some people. In short no one cares what a phone ‘could’ possibly do, they just care if it does what they need. In terms of specs, I personally think that smartphones are at their sweet spot in terms of managing what the phone can do and battery life. Camera quality has often been brought up in the iPhone or Android debate and it is honestly a mute point. If person cared about photography they would purchase a separate camera. Smartphone cameras just need to have nice enough quality that they are acceptable for Facebook, Instagram, and other social sharing. When it comes down to it, novelty features like Siri will be a more prevalent point than processing power. The iPhone or Android debate needs to shift away from power and more towards features where the real meat of the argument is. Which way do you lean? iPhone or Android? Let us know in the comments below.